Invited by the State Public Defender of Amazonas to attend the public hearing on “Demarcation of Indigenous Lands in Municipalities of Careiro, Careiro da Várzea, Autazes and Manaquiri”, the Brazilian Brown-Mestizo Movement (Mestizo Nation) reaffirmed the original right of Mestizo people to stay in their land to be a native ethnic group generated by the original Amerindians who inhabited the area. The Workers’ Party (PT) federal government through the National Indian Foundation (FUNAI), intends to expand exclusive ethno-racial state territories (Bantustans) for Amerindians and conduct ethnic cleansing against Mestizo people. A public hearing took place in the auditorium of INCRA, in Manaus City, State of Amazonas, on 08/22/2013. Posted in Apartheid no Brasil, Mestiçofobia | Desmestiçagem, Multiculturalismo, Verwoerdismo | Indigenismo. 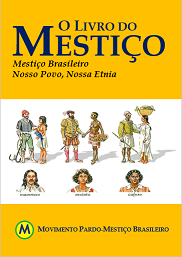 Tagged with bantustão, índios Indians, mestiço mestizo coloured métis mixed-race ladino.